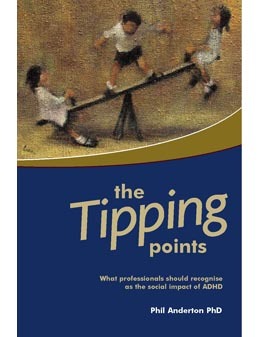 You can help raise funds for the national ADHD Charity ADDISS. 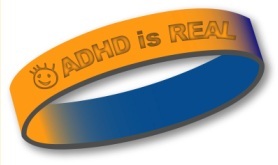 At the same time you will be helping to raise awareness about ADHD by purchasing our beautiful new jewellery, Tangle toys to help concentration,Shopping Trolley Token Keyrings and/or the National ADHD Charity Wristband which comes in a two tone colour of orange and blue. 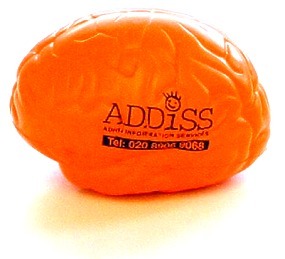 Maybe you'd even like your own personal ADDISS Brain for a shelf ornament! Please Note: We can only supply these items to UK addresses. 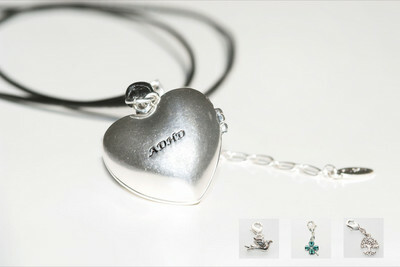 This beautiful heart necklace has been specially made to raise funds for the ADHD community across Europe. It hangs on a long fine leather strap. 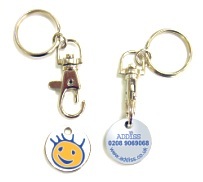 When you open our ADHD-heart you will find three charms and a silver plated chain. 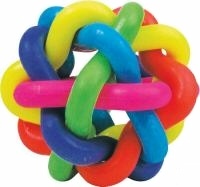 Attach the charms to the ADHD-heart or link them to the chain and twist it around your ankle, neck or wrist. 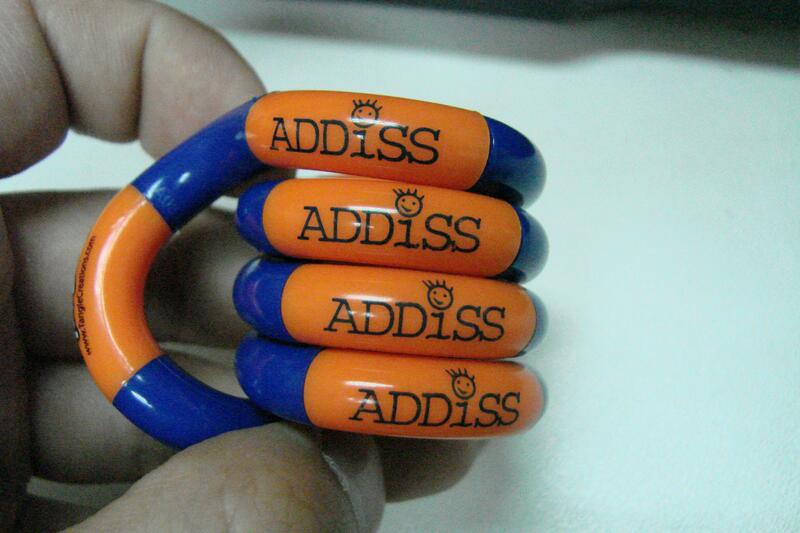 It抯 up to you to decide how to wear your ADHD-heart. ADHD 揝phere� necklace A silver plated chain (measures 80 cm) and a silver plated sphere (2 cm in diameter), with ADHD text. The necklace contains presence, insight, understanding and ambitions; important human resources. We have symbolized these human aspects as charms inside the sphere and they can be put together in a numerous of unique ways. 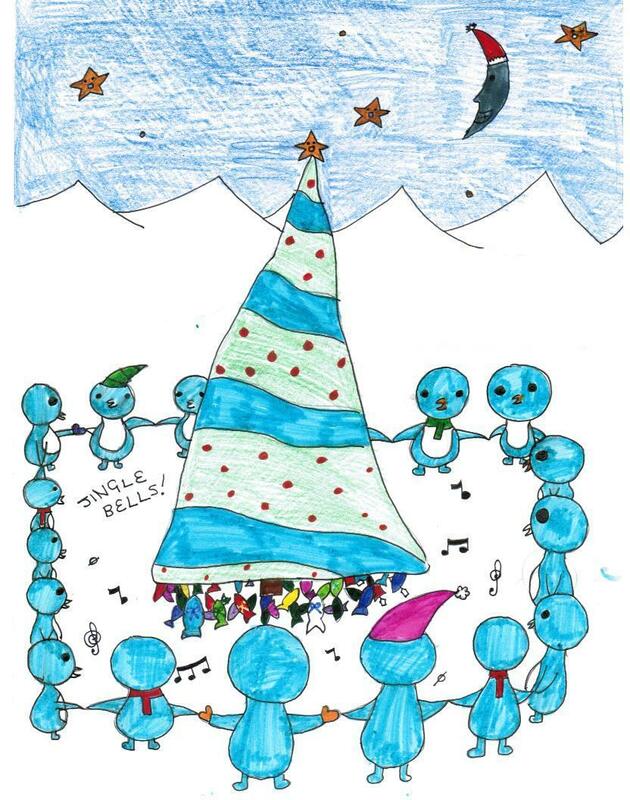 The string symbolizes connection and possibility. Use the string around your arm, neck, food and add the charms in a way that fits your personality. Trade or share your charms with friends and family and visualize your personality. .
A necklace with 3 rings. The coated string is 80 cm long and adjustable, and the rings are silver plated with ADHD text, gold plated and brass plated with crystal stones. 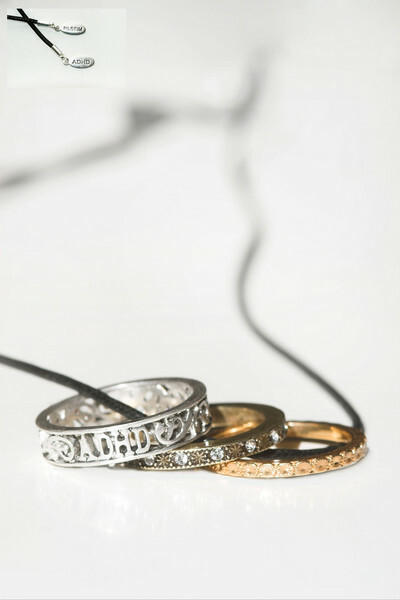 The 3 rings symbolize trust, unity and movement. You can抰 help fiddling with this necklace, ADHD or not! The rings are not suitable for wearing as rings on fingers. The Souldrop Cookbook has been lovingly put together by Kay Bone in memory of her son Sean. He had ADHD and overcame a lot of the challenges of this much misunderstood condition but sadly, in the end, he felt that he could no longer cope. The book contains over 100 recipes donated by the residents of the picturesque village of Souldrop in Bedfordshire. Inbetween the recipes lies a pictorial history of this idyllic village. The Souldrop Cookbook is a real labour of love by Kay, who has lived for some years in the village of Souldrop. She celebrates in word and picture the lovely village of Souldrop in North Bedfordshire. She has collected old photos, many going back more than 100 years, and added her own images of Souldrop, its church, pub and people, in 2009. Her book also celebrates the people of Souldrop and their cooking skills. Kay asked the citizens of Souldrop for their favourite recipes and they gave her more than 140, all tasty, tried and tested. They range from quick and easy salads, sauces, curries and soups to mouth-watering cakes and desserts, not to mention traditional blackberry jam, cakes and puddings and Victorian recipes for Bedfordshire clangers and railway pudding, designed to fill up the navvies who built the nearby railway. Kay's book would make a lovely gift for anyone interested in cooking or the English countryside or who wants to support ADDISS, a charity especially dear to Kay's heart. All money on sales goes directly to ADDISS, the national Attention Deficit Hyperactivity Disorder charity. Some of the items below are now available at a discounted price from our new online bookshop. 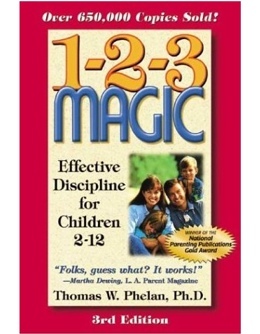 by Thomas W. Phelan Ph.D. This book is written as an interesting story with colourful illustrations, for young children aged 6 to 12 years, to improve their understanding of such a complex condition. Do you know about ADHD sir? 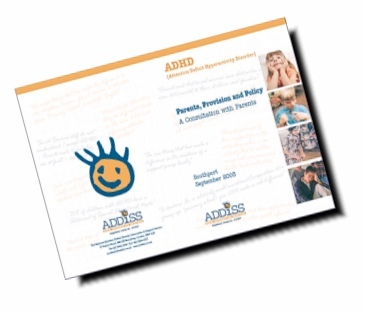 This book was written by 11 year old Josh Jones who has ADHD in an attempt to make his teacher more aware of ADHD and to encourage his teacher to support him and to understand him.